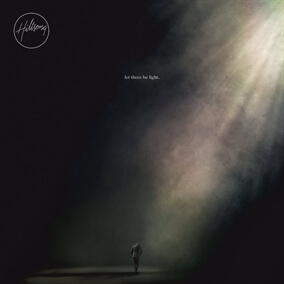 New from Hillsong Worship - "Let There Be Light"
For nearly three decades, Hillsong Worship has served people across nations and generations as they write songs that serve the global Church in the worship of Jesus. Today they have announced the release of their highly anticipated live album, Let There Be Light which was recorded earlier this year at the 2016 Hillsong Conference in Sydney, Australia. The album features a number of Hillsong worship leaders including Joel Houston, Brooke Ligertwood, Reuben Morgan, David Ware, and Taya Smith and is full of congregational anthems rich in lyric, melody, and theology. Some immediate standouts are ”Behold (Then Sings My Soul),” “Let There Be Light,” as well as “What a Beautiful Name,” which pre-released recently and is currently in the #1 spot in the top 20 on MultiTracks.com. Hillsong Worship’s desire is that individuals, worship teams, and churches alike will be edified and mobilized by these declarations and prayer songs that speak to the days we are living in, while proclaiming the immutable hope we have in Jesus Christ. Preview all the songs from Let There Be Light on iTunes and MultiTracks.com today!